Happy Tuesday, everyone! Welcome to day 2 of the WPlus9 October release!! We're still celebrating Christmas with this release, which we will be doing all week long. 2. Cut banner paper slightly smaller, sand the edges and adhere. 3. Tie ribbon around the middle, with the bow sitting at the top. 4. Diecut the star from chipboard, cover in snow glitter and adhere to the middle of the bow. Top with a twine double bow and two silver bells. 5. Diecut the label from green paper, sand the edges and adhere below the bow. Accent each side with a twine threaded button. 6. Diecut the snowflake from kraft cardstock, and cover in snow glitter. Adhere to the left side of the label. 7. Diecut the santa icon from oatmeal cardstock, distress ink the edges, then stamp the image to it in black. Adhere to the top of the snowflake, then accent with a black puff ball. 8. Diecut the tag from outmeal cardstock, then distress ink the edges. Stamp the sentiment and snowflakes to it, then accent with red pearls. 9. Adhere the sentiment tag below the bow, tucking the top slightly under the snowy star to finish. I can admit that I struggle with being a merciful person. It is the same part of me that struggles with forgiveness. I have been hurt deeply by people who were supposed to love me unconditionally. That hurt really crushed my spirit....leaving me a pretty broken person. So, in place of the hurt...I put up walls that are practically impossible to break down. Good luck if you are the reason why they were constructed. But God has been working on me. Reminding me that while it is okay to protect my heart...I still need to show some mercy and offer forgiveness to those that have hurt me. My mom has a quote on her Facebook page that says, "Forgiving someone else does not make what they did to you okay. It helps make you okay." Forgiveness is the easier part for me (notice I said easier, not easy), because forgiveness is the selfish act. Mercy on the other hand...it's harder. It is a gift that you give, and it shows vulnerability. All I know is that God is chipping away at this hard surface in me. Verse 13 says, "Because judgement without mercy will be shown to anyone who has not been merciful. Mercy triumphs over judgement." This seemingly lines up with definition #3 up there....yikes!! I want to be shown mercy by God....I need His mercy. And I think this is why He has gently pushed me to really look into the face of my demons and work on being more merciful and forgiving. Thanks for checking out my Christmas creation today! 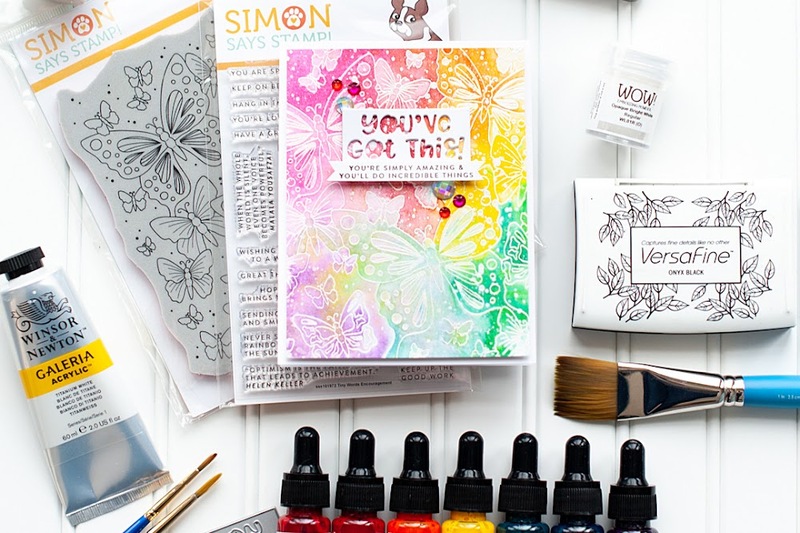 Be sure to check back tomorrow when we showcase another new stamp set and dies!! Have a great day! Such beautiful, homespun appeal, Lea! And the black is absolutely delicious, especially with that yummy, gingham bow! Lea I just love your card! 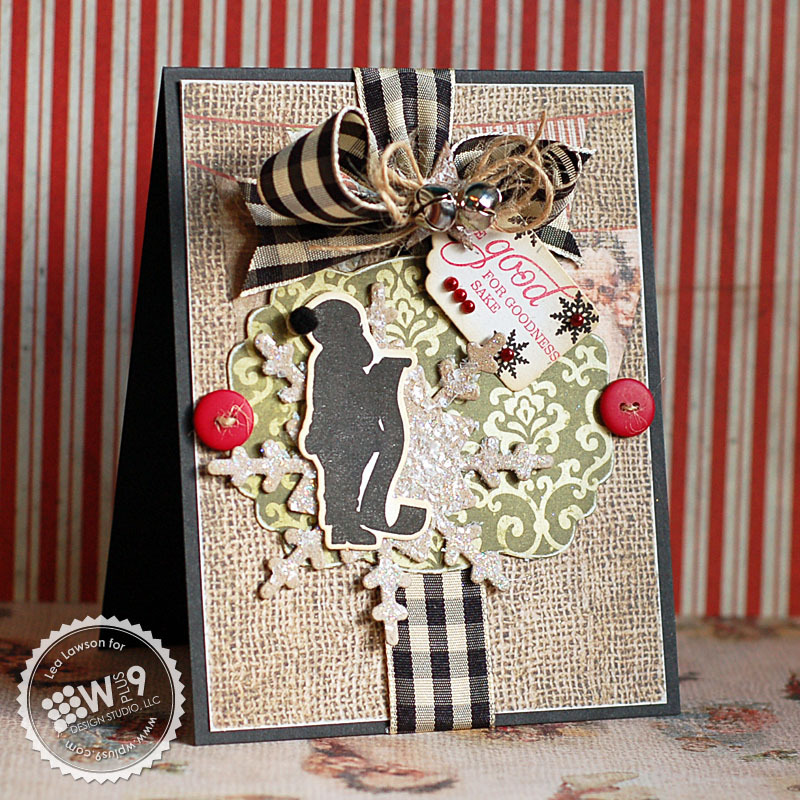 I love the ribbon and the black cardstock base! Very striking and the santa diecut is the cutest I have ever seen! A must have! Dawn has outdone herself this month again! Beautiful! I LOVE the burlap dp--it almost looks like the real thing. And your gingham and twine bows are spectacular! Thanks so much for joining us this week at Tuesday Morning Sketches! Love your card! The embellishments are just great! Thanks for sharing! Oh what a pretty card! Love the glitter snowflake I had to look twice to see if it was real. Gorgeous combination of embellishments.Who doesn't love gingham! TFS great homespun colors and embelishments. Your work is always spectacular! This is just gorgeous Lea! Love the ribbon and the mix of colors, especially the green / black / red shabby chic mix! Gorgeous in so many ways. I love the contrast with rustic and elegant/glittery. It's a perfect backdrop to that sweet Santa (which just leapt to the top of my wishlist!) So glad to see you at Dynamic Duos! Oh, this is so pretty, Lea. The black is really a great neutral here! I love Santa's pom pom and the gorgeous glittered snowflake. The ribbon is the perfect finishing touch! Wow. Your card so gorgeous. Love this vintage look and splash of red. 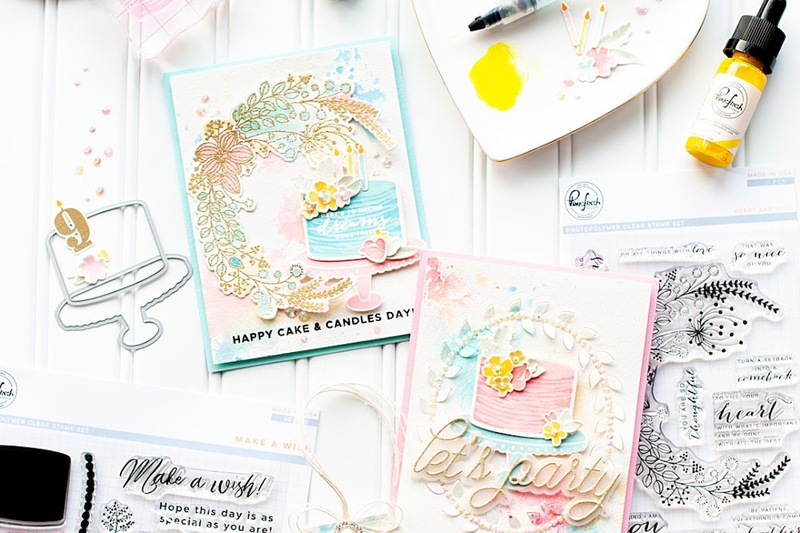 Thank you for joining us at Sweet Stampin` “Vintage” Challenge and we hope to see you again soon. Love all your elements! Beautiful!! Thanks for joining us at the Friday Mashup this week. Lea your card is gorgeous, as usual! Thanks for playing along with the Friday Mashup this week!And I really admire you sharing your heart in relation to the Bible verses you're reading - it encouraged me as I am currently being challenged in the 'mercy vs judgement' department! God always values honesty and vulnerability so I know He will bless your endevour to grow in your faith. Lea, every inch of this card is wonderful! Thanks for joining us at Dynamic Duos! 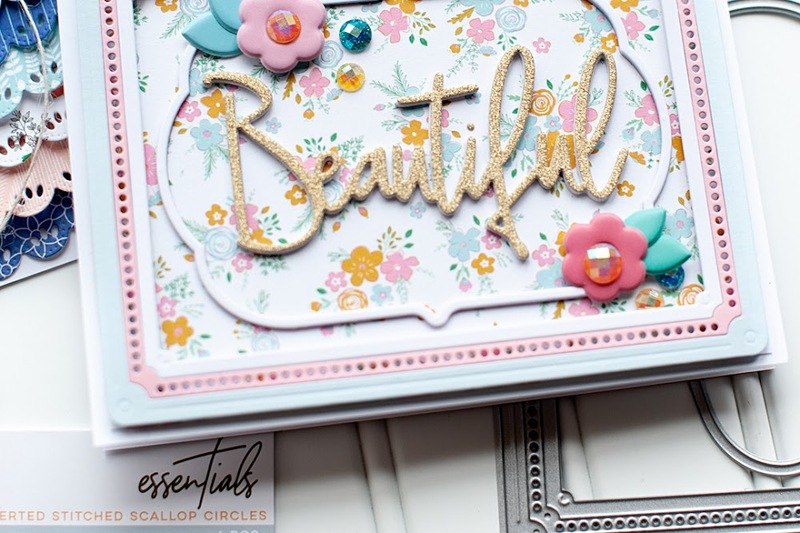 Lea, what a gorgeous card and thank you so much for sharing your instructions as well with us at Tuesday Morning Sketches!! Wow! What a stunning card - your attention to detail is awesome! Thanks for joining us at Tuesday Morning Sketches.